Fitness is a very essential part of our lives. We need to make sure that our activities and the food that we eat will benefit our body and will help us function better especially in our daily activities. There are many ways that we can actually improve our fitness, and there are many tools as well which can help us achieve the fitness level or status where we want to be at. 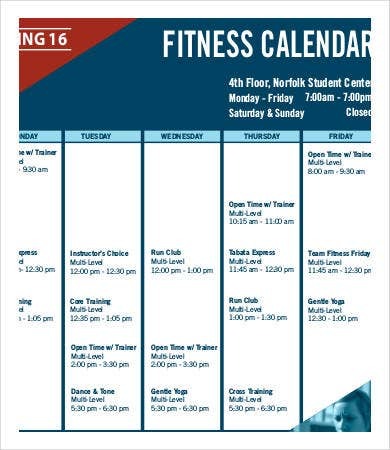 A fitness calendar is one of the tools used to help track our fitness activities. 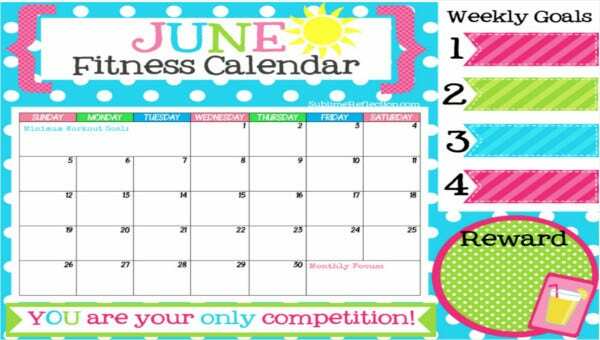 If you want to create one, aside from the available fitness calendar templates in this article, you may use our other Calendar Template samples, which is also applicable for the planning and/or tracking of other activities. 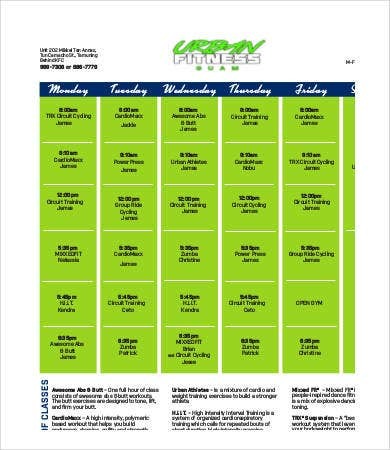 People who want to keep a routine for a specific period of time can use this kind of fitness calendar as it will help them track their daily activities in a monthly or weekly basis. Execution of the fitness plan will be easier should there be a listed set of activities done. It works as a motivation booster as a person can actually already see the activities that he or she is bound to do and the activities that he or she has already done. Friends who want to work out together to help them know the exercises that they will do as a group. 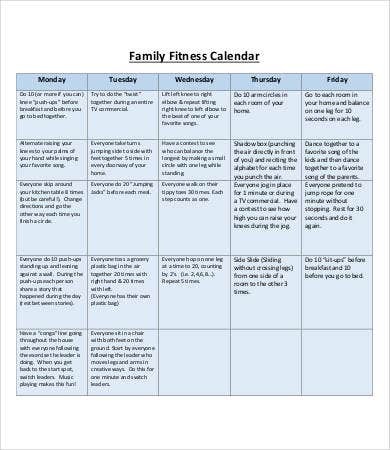 Families can also use a group fitness calendar to make sure that all exercises are appropriate to all the age brackets of the members of the family. 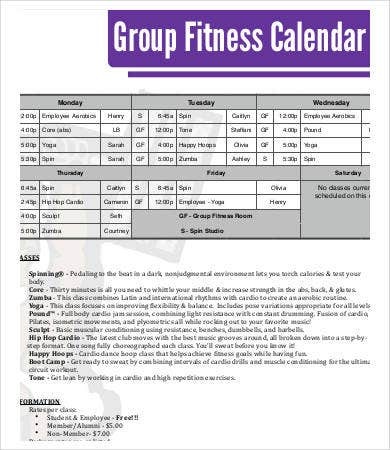 Gyms and other fitness establishments can also use a group fitness calendar to record their fitness classes. 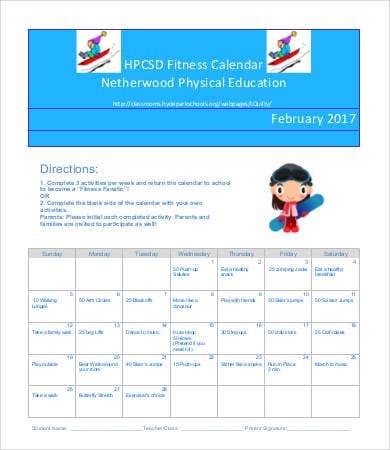 Other than our fitness calendar templates, other calendar samples and layouts are available on our website. You may browse through our Blank Calendar Template if you want to design your own calendar or Workout Calendar Template if you are looking for other calendars. 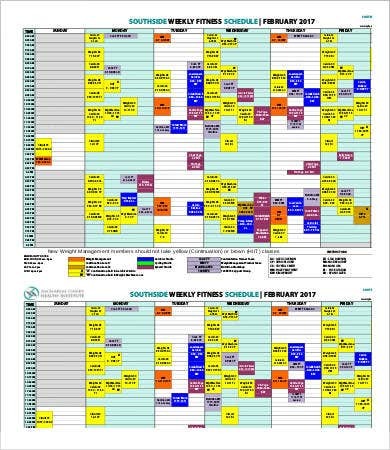 Gyms usually use this kind of fitness calendar to allow their clients see the classes available and the trainers for the specific classes they wish to attend. 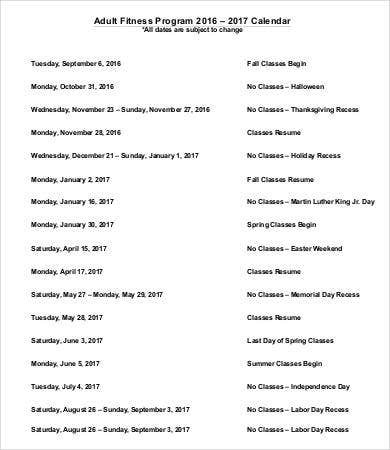 Yoga hubs also create a fitness calendar to assure that the clients who will go in a specific time will be able to attend the type of yoga that he or she wants to practice. 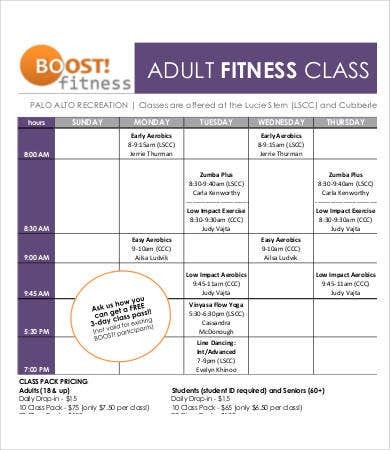 Spa and other health and fitness establishments also create a fitness calendar for people to know their offerings on a specific period of time especially their promotions on healthy food, lifestyle coaching, and other therapeutic and fitness activities. 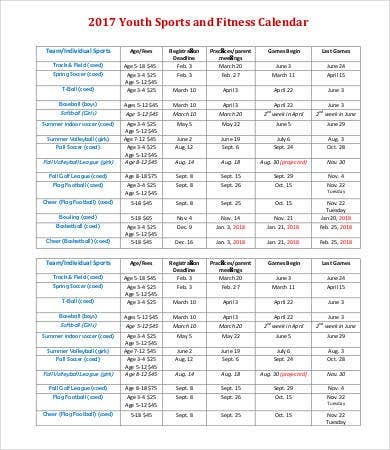 Aside from out fitness calendar templates, we also have an available Training Calendar Template ready for download should you be interested to use it for any training that you host, organize, or attend.